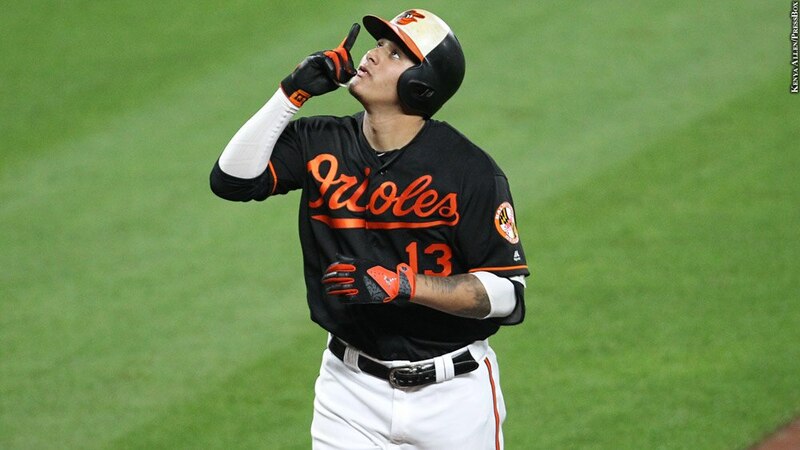 Orioles third basemen Manny Machado had already homered in two of four at-bats against the Los Angeles Angels of Anaheim Aug. 18. So when he stepped to the plate with the bases loaded in the bottom of the ninth inning, perhaps we shouldn't have been surprised when his third home run departed Oriole Park at Camden Yards faster than you could say "fait accompli." Three home runs and a walkoff grand slam? Not a bad Friday night.